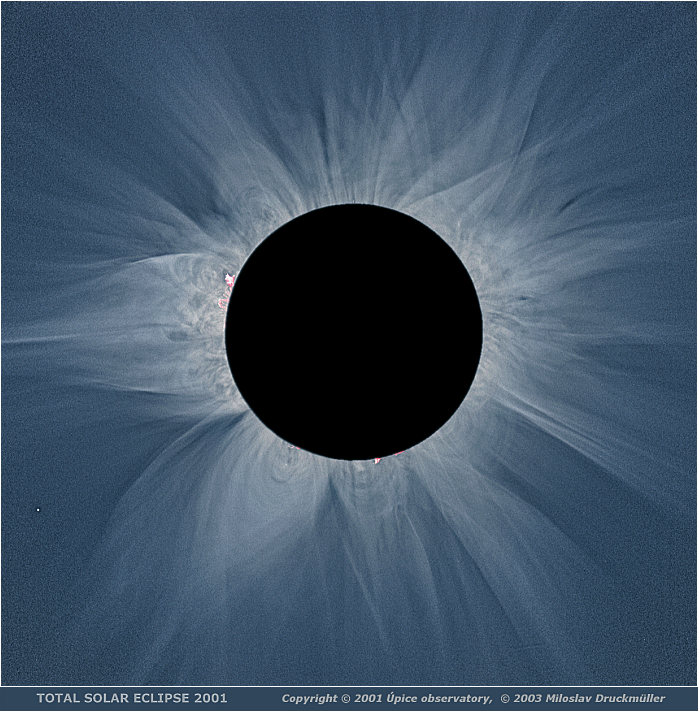 Decrease of coronal structures contrast with the increasing distance from the Sun is a typical property of the solar corona. As the sky is relatively bright during the total solar eclipse the decrease of contrast is much bigger than in the reality. This contrast decrease can be at least partially compensated by mathematical processing. This method was used for image processing of this image. Compare it with version 1 of corona image on which the compensation was not done.